Adeola is a member of Nigerian Society of Engineers (MNSE). He holds an HND Civil Engineering from Yaba College of Technology Yaba, Lagos. He had worked as Project Engineer for Shell Petroleum, Penos Construction Company as Site Engineer and Abezl Nig LTD as Event Manager. ​He is currently responsible for the recruitment of athletes, coaches, family members and volunteers. He also coordinates projects and SO Nigeria initiatives. Adesoye has over 10 years Finance and Accounting experience spanning various industries within the county. Prior to his appointment as Finance Coordinator of Special Olympics Nigeria in January 2014, he was an Account Officer, at Mind Builders School. His experience in the education sector exposed him to the various challenges faced by students with special needs which ignited his interest in humanitarian services. He holds a Bachelor’s degree in Accounting from University of Lagos and is a member of Institute of Information Management. Adetayo is a commercially driven Chartered MCIPD HR professional with years of strategic and operational generalist experience. She has a proven track record of delivering business focused initiatives and expertise across a variety of industry sectors and organisational settings. Adetayo holds an MSc. in Human Resource Management from Cardiff Business School, Wales and a BSc. in Sociology from the University of Lagos. Her keen interest in people and her experience in one of the top global consulting firms have further driven her passion for transforming organisations. She enjoys contributing towards social development through participation in various charity-driven initiatives. Her pastime activities include swimming, travelling and reading novels. Obianuju has a wide range of business and people skills gleaned from her background and experience in Economics, Project Management, Community based Volunteering and Management Consulting. 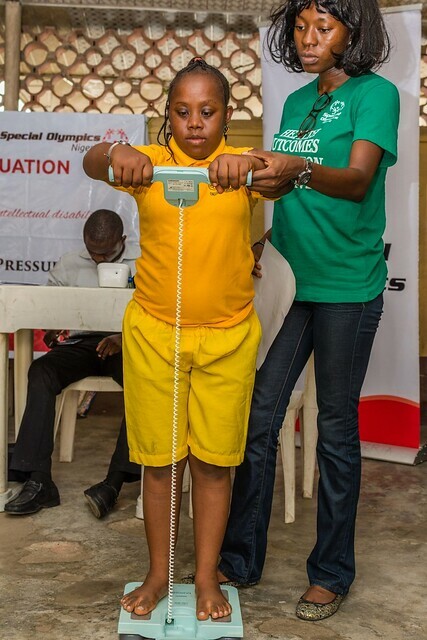 However, the biggest quality she brings to us at Special Olympics Nigeria is passion. Obianuju has a passion for Sports and was a decorated athlete at every level of her education. In addition, she has always been passionate about health and wanted to be a medical doctor as a child. Her role as Health coordinator, provides her with the perfect platform to fuse her skill set and her passions to advocate for inclusion and create healthy communities for one of the world’s most vulnerable populations i.e. People with Intellectual Disabilities (PWIDs). Obianuju is responsible for the successful planning, delivery and synergy of all SO Nigeria health programmes. She enjoys travelling, reading books and trying out new recipes. Ibiyemi’s educational and professional experience in Nigeria and the United States of America, has centred on Project management and Accounting, with proficiency in project planning , process improvement, and performance management. She has always had a passion for social causes. During her National Youth Service Corps, she planned and coordinated an empowerment program for the women of Ilara-Mokin, Ondo state. This guided her decision to build a career in Social Good and empowerment. She worked with Bridge International Academies as the Operations Programme Manager, prior to joining Special Olympics Nigeria. Richard holds a BSc in Banking and Finance from Lagos State University. Prior to joining Special Olympics Nigeria, he worked in Redeemed Christian Church of God as a Maintenance Supervisor and at Nigeria Breweries Plc as a Trade Enumerator. His desire to serve the vulnerable in his community propelled him to join Special Olympics Nigeria in 2005. As the Sports Officer, he enjoys giving 100% towards ensuring that people with intellectual disabilities are engaged in quality sports programming and given a voice in the community. Festus holds a B.A in Mass Communication from Adekunle Ajasin University, Akungba (AAUA) in Ondo State. He is a certified graduate member of the Nigerian Institute of Management. Prior to his appointment as a Master Trainer and Programme Coordinator at Special Olympics Nigeria, he worked at Zapphaire Events as an Event Coordinator, SOL Nigeria as Sales Executive and Bond Medical Centre as Public Relations Officer. Festus derives joy in training and interacting with people with intellectual disabilities. His ability to build rapport with diverse groups of individuals and in multicultural settings, creates a common ground for seamless project delivery. He loves swimming, football and travelling. 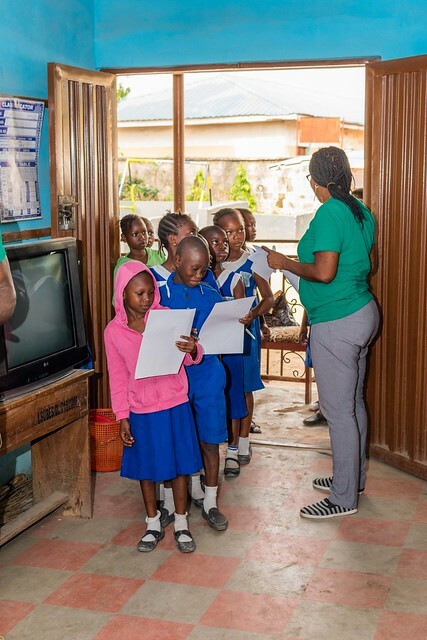 Raised in Ajegunle – a slum in the heart of Lagos – and with first-hand experience of the underprivileged life, Sylvester has always had the desire to work with vulnerable and marginalized people. 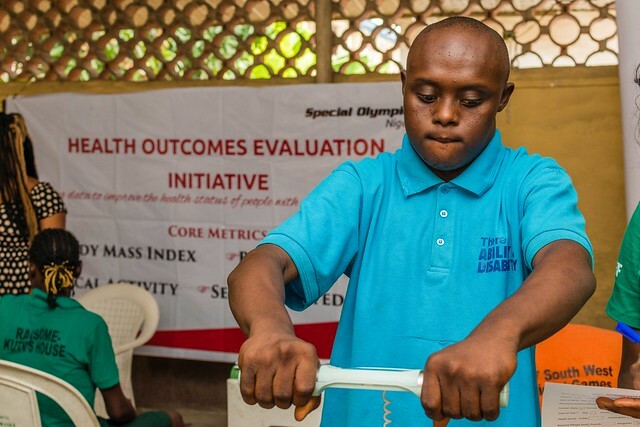 His role as the Programme Coordinator of the Exxon Mobil Skillz for Life initiative at Special Olympics Nigeria is a dream come true as it positions him to serve and provide strategic support to one of the most marginalized communities (people living with intellectual disabilities) in Nigeria. 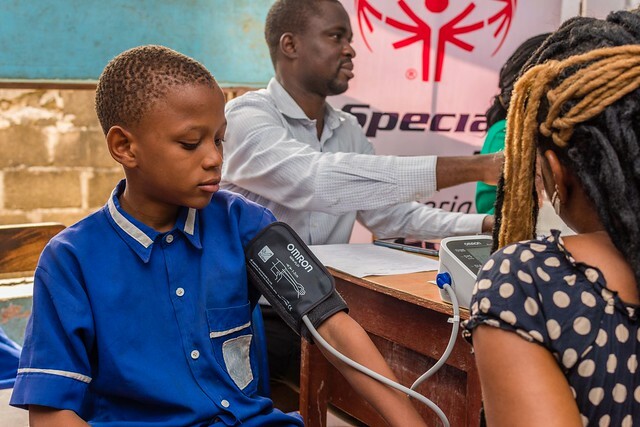 Before joining Special Olympics Nigeria, he served as Logistics Officer at Merine Skies Nigeria Limited, Customer Care Agent at MTN Nigeria and a Volunteer Electoral Worker with the Independent National Electoral Commission (INEC) for the 2011 and 2015 general elections. He has also volunteered for Education Rights Campaign. Sylvester holds an honours degree in Geography & Regional Planning from Ambrose Alli University Ekpoma, Edo state. Queen Nkpubre holds a BSc. Chemistry from York University and an MSc. Forensic Science from University of Strathclyde. Prior to this position, she interned at the Department of Pathology and Forensic Medicine of Lagos State University Teaching Hospital (LASUTH) and has also worked with York University’s Department of Chemistry. She was a member of the York University Women Lacrosse team and has participated in various dance presentations and teaching. She has always had a passion for dance, health and fitness. Abiola holds a Bachelor of Engineering degree in Electrical and Electronics Engineering from the Federal University of Technology, Akure (FUTA). He has over three years’ experience in the non-profit environment which cuts across Project Management, Strategy and Social Media. He is passionate about helping people achieve more, which spurred him to volunteer for several NGOs while on campus. Prior to joining Special Olympics Nigeria, He had worked with Ibadan Electricity Distribution Company, Cyberspace Network Limited, Real Impact Initiative, GEMSTONE Nation Builders’ Network, and the Nechamah Foundation. Abiola Oyeneye is also a recipient of several meritorious awards. Philip is a Mathematics graduate of the Federal University of Benin and a Master Coach with Special Olympics Nigeria. He is currently working on the Exxon Mobil Skillz for Life Initiative. He specializes in facilitating trainings and curriculum implementation. Prior to working with Special Olympics Nigeria, he has worked as Secretary for Gulfkoh Nigeria Limited, as Supervisor for House of Hambers Catering Services, and as a Marketer for Gawo Pharmaceuticals, Jesse Oil, and Fasu Global Nigeria Limited. 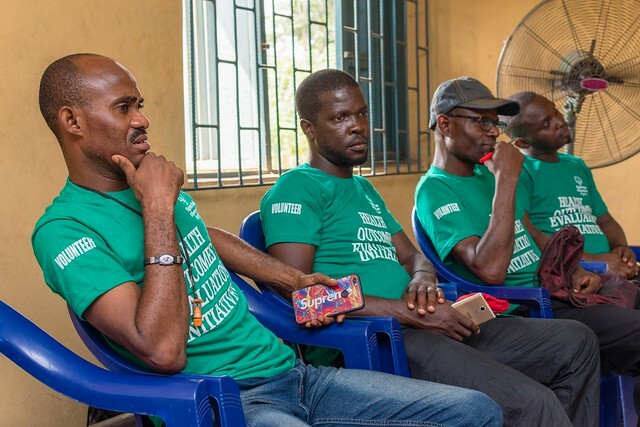 His passion for sports and service to the marginalized and disadvantaged people prompted him to volunteer for SO Nigeria before he joined as a permanent employee. He is a leading member of St Vincent De Paul Society, a Catholic religious organization that caters for the needs of the poor. 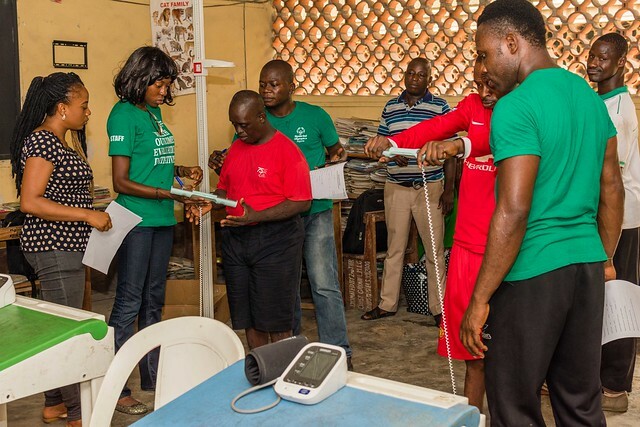 With a passion for health and wellness, Olubunmi finds fulfilment in working with Special Olympics Nigeria as a Health Officer. She is a firm believer in making positive impact in the lives of the underprivileged. She holds a bachelor’s degree in Public Health from Madonna University, Elele, Rivers state and obtained the Health, Safety and Environment certification from the UK HSE in 2017. She is a trained peer educator of the National Reproductive Health, HIV/AIDS Prevention and Care Project. 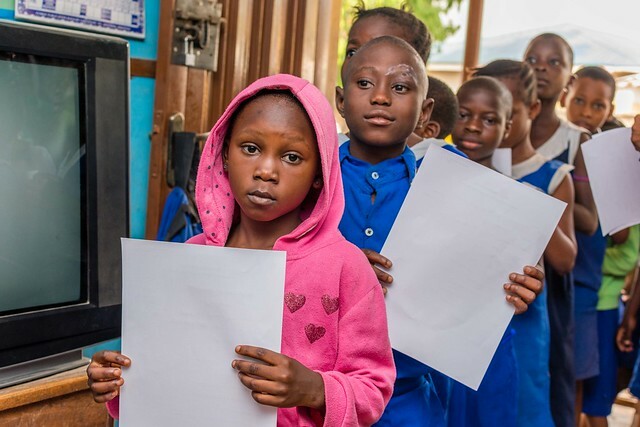 Before joining SO Nigeria she worked with Oyo State Agency for the Control of AIDS (OYSACA) as an intern participating in health-related projects and community sensitization on HIV/AIDS prevention and control. 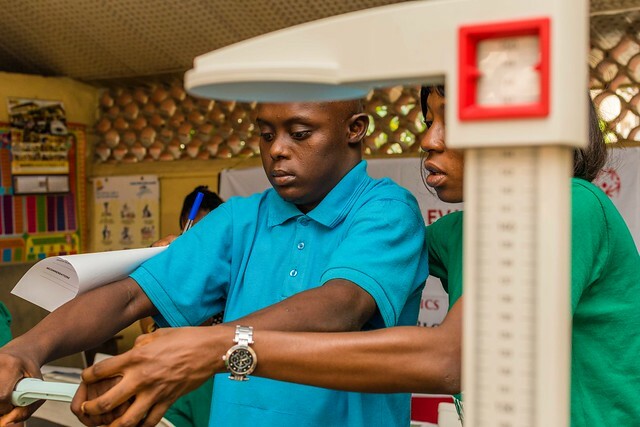 Tomiwa is a member of the Athletes' Input Council (AIC) of the Special Olympics Africa. He is a key player at SO Nigeria’s leadership programs and also an active speaker for intellectual disability causes. Tomiwa participated at the 2017 Special Olympics World Winter Games in Austria winning a Gold medal in Floor Hockey with Team Nigeria. 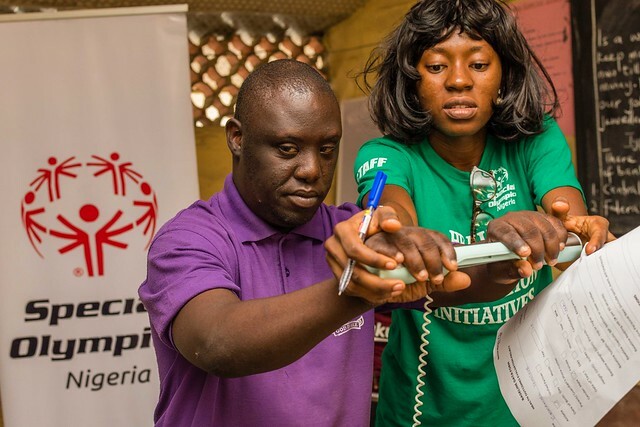 Samuel serves as the Administrative Officer of Special Olympics Nigeria and has done so effectively since 2012. He was a member of the SO Nigeria Track & Field contingent that participated at the 2015 Special Olympics Summer games in Los Angeles, USA. Samuel loves photography and has been trained as a professional photographer through the SO Nigeria YESAP Initiative.